If you are like me and Pete, then you are constantly craving Mexican food. 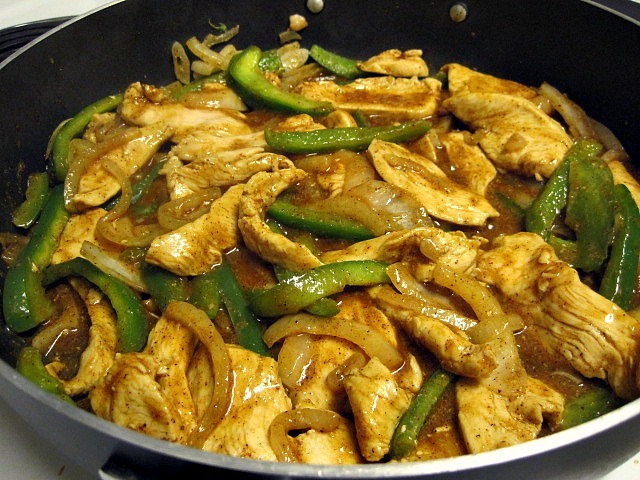 I found a great recipe for homemade fajita seasoning that doesn’t contain all of the artificial ingredients that the store bought packets do. I mix up large batches of this seasoning and keep it in a tupperware to make this week night dinner even easier. To mix it up a little, substitute the chicken with steak or pork. Mix all ingredients together and place in air-tight container until ready to use. Heat coconut oil in large saute pan. 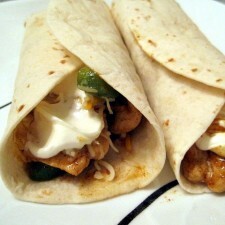 Add sliced chicken, peppers, and onions. Cook until chicken is almost cooked all the way through. Add seasoning mix and water. Stir until well mixed. 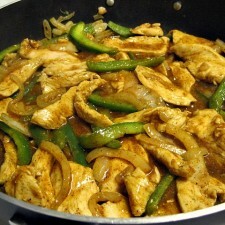 Continue to cook until sauce has thickened and chicken is cooked through. 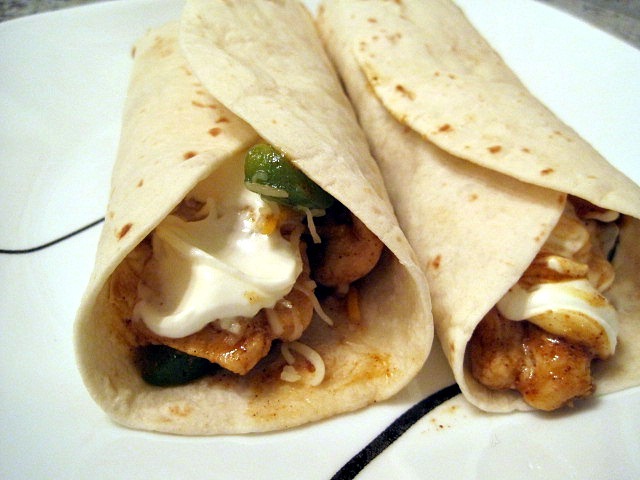 Top tortillas with chicken, peppers, onions, and any desired toppings. Serve with a salad or mexican rice. Enjoy! I’m on a gluten free way of life now,do you have a recipe for tortillas?